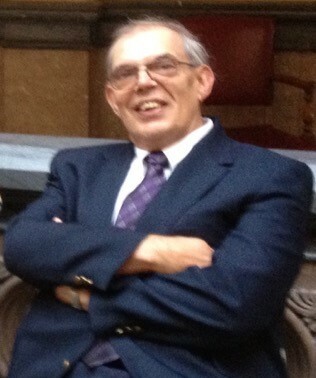 Thomas G. Hessley, 74, Pleasant Township, died surrounded by his loving family after a long, courageous battle with a serious illness on March 29, 2019. He was born February 21, 1945 in Warren, Pennsylvania to the late Joseph and Agatha Hessley. He graduated from Warren Area High School in 1963 and Gannon University with a Bachelor’s Degree in Sociology in 1967. He married Bobbi Linder on December 12, 1970 and the two made their home on the east side of Warren where they spent several years having fun, riding motorcycles, going to Watkins Glen, and enjoying life before starting a family. Tom is survived by his wife of 48 years, Bobbi Hessley, Pleasant Township, his three daughters, Jennifer Hessley, Ft. Lauderdale, FL, Lynn Hessley, Ft. Lauderdale, FL, and Lisa Hessley, Boston, MA, his eight grand-dogs, his siblings, Agnes “Dutchy” Higham, Erie, PA, Ellen Josephine Mascoli, Middlebury, CT, Bernard J. Hessley and his wife Linda, Warren, PA, Rita Hessley, Cincinnati, OH and many treasured nieces, nephews and friends. Tom was preceded in death by his infant son, Gregory Thomas. I am sorry to hear of your father’s passing. Please accept my deepest condolences. I met Tom thru happy hour. We had many stimulating conversations. Always impressed with his overall knowledge of history and current events. Tom deeply loved his family – ask him a question “how” everyone’s doing and just sit back for the next half hour and listen. He would get so excited every time; they were going to visit the girls. Really enjoyed the pleasure of knowing Tom thru Happy hour, breakfast at Richards our adventure on the ATV in Torpedo. He will be deeply missed at happy hour. His family is so blessed to have so many happy memories. I was very sorry to hear about the passing of your younger brother, Tom, from the obituary. Although I only met him a few times during our high school and ND years, it makes us so aware of our mortality as we near our 9th decade. Our condolences go out to you, Linda, and your family and we know that Tom now sits with the Father and is at peace. We do not get to Warren since my stepmother, Mary, passed several years ago, but I follow our classmates at WHS and we have lost quite a few. Again, we are both very sorry to hear of your loss. I was really saddened to hear of your loss. Tom was special, we had fun working on our old Corvettes in the late 60’s. The last time I saw him was in 2014 at our WAHS reunion. Stories were swapped about old hot rods and family. Sorry Bobbi. This obit perfectly captures the man who to me was Uncle Tom. I didn’t get to see him often But over the last couple of years I was able to spend a week with him at the time of my own father’s death and funeral and again at Joe and RJ’s wedding. I’ll always remember his passion for his ideals, his community and expecially his family. And of course, there was the voice. Whether telling a story about growing up in Warren, something one of his girls “may” have done, or about the best transit route through the Allegheny Forest he spoke with conviction, honesty, passion and always with humor. Tom was a strong individualist who enjoyed many interests and activities, and made friends with all he met. His passion and conviction were ever-present during engaging conversations on so many subjects. Tom’s conversations were thought provoking and serious at times, but I will remember the hearty laugh that came thru it all. Our sympathies to Bobbie, their Girls, and all who suffer his loss. Bobbi, I am sorry to hear of your loss. I didn’t know Tom well but I remember how kind he was. May your memories sustain you during this hard time. I never knew you, but my sister Ellen has told me what a fine neighbor you were to her. You left your mark on the world. Mike and I are so sorry to hear about the loss of Tom. We had a good chat with Tom at our last reunion. Bobbi, my Girl Scout sister, I am so sad for your loss but read about your good life with Tom. Praying for you and your family during this difficult time and Mike and I are thinking of you all! I have the fondest of memories of Tom from our years in junior high school and high school. As his obituary shows, he was just a really good guy. My condolences to his family.